At Bridge Sollars Garage we provide a free 3 month warranty with all our vehicles. Our warranty covers all-mechanical and all-electrical components and includes both parts and labour. In addition to this, all vehicles undergo a 50 point pre-delivery inspection and service check prior to point of sale, ensuring your complete peace of mind. 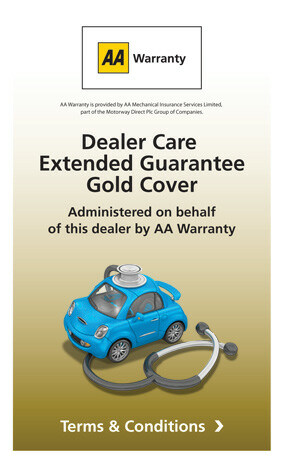 We are also proud to offer the AA Dealer Care Extended Guarantee. We offer 12 to 36 month plans at highly competitive prices meaning that upgrading your warranty is simple and can be highly cost effective. At Bridge Sollars Garage we aim to make buying a car with us as easy and stress free as possible. 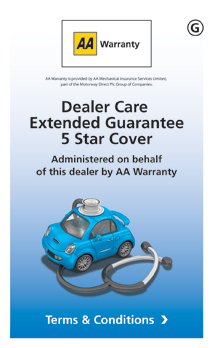 That is why for that added peace of mind we have linked up with the UK's leading car warranty company to provide the AA Warranty Dealer Care Extended Guarantee products.